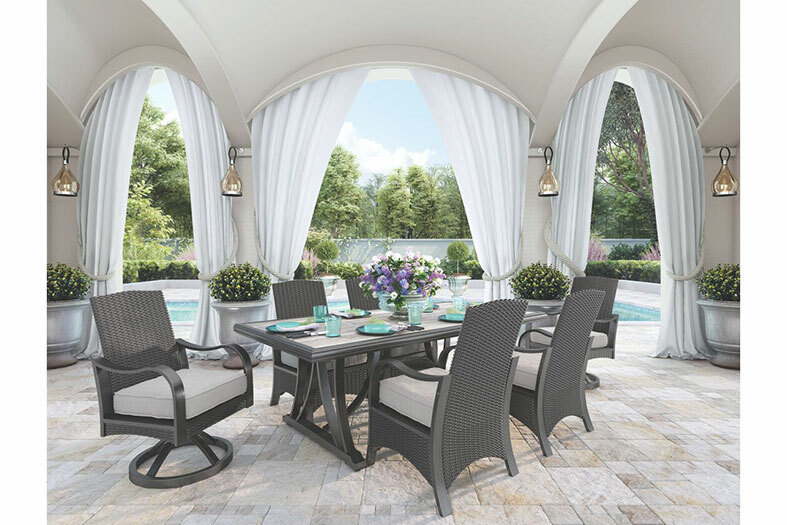 The Partanna Bar Table adds beauty to your outdoor space in so many ways. The smooth aluminum tabletop holds a recessed fire bowl setting the stage for a flickering show. Meanwhile, hidden behind the door of its unique slatted base, there's room for storing essentials. The square fire Pit table looks like slightly distressed wood, but is actually crafted from durable, weather-resistant aluminum for years of enjoyment. The propane fire bowl conveniently ignites at the push of a button. The included burner cover transforms the fire pit into a coffee table, perfect for all your entertainment needs.